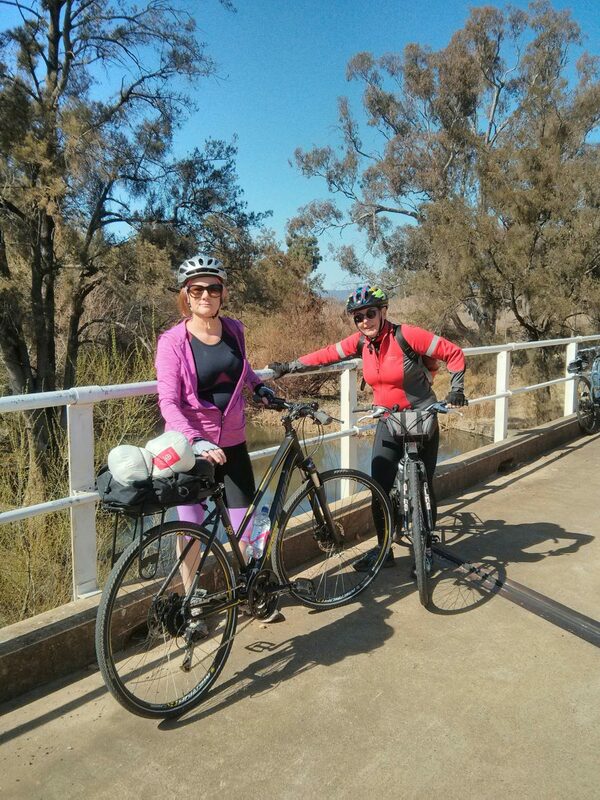 I had a great time on the Mudgee trip despite the fact that I wasn’t feeling super fit and a large percentage of the cyclists seemed to be true believers in long distance cycling. Cool mornings around -1 to 1 degree, with a light frost, but it soon warmed up. I was very glad I was in a cabin not a tent. Almost perfect cycling weather until the westerly winds started in the late morning. The camp kitchen was a great gathering point at night to taste some of the local wines and food and swap cycling and travelling stories. Unfortunately, there was a total fire ban, so no open fire for us this year. As a group we had a few good nights out in town, the Lawson Hotel being my highlight, with 2 for price of 1, cook your own steaks. Best red meet I’ve had in ages. The town has invested in a cycling/walking track behind the Riverside caravan park, this crosses the Cudgegong river via a very smart suspension bridge. This leads to the routes out to the vineyards and to a number of the more challenging rides. I only visited two vineyards on this this trip and plan to do more on my next visit. The Locals tend cycle out to the vineyards for coffee/lunch and then return home. I rode both my road bike and mountain bike and only did around 45klms as a maximum distance. So very… relaxed. It is useful to have a mountain bike or more sturdy hybrid bike to ride to the vineyards, as a number of the vineyards are on unsealed roads. The town was gearing up for the annual Wine and Food festival to be held on the following weekend and they had a number of side events on offer. A few of us did an interesting farm tour run through the local tourist office. 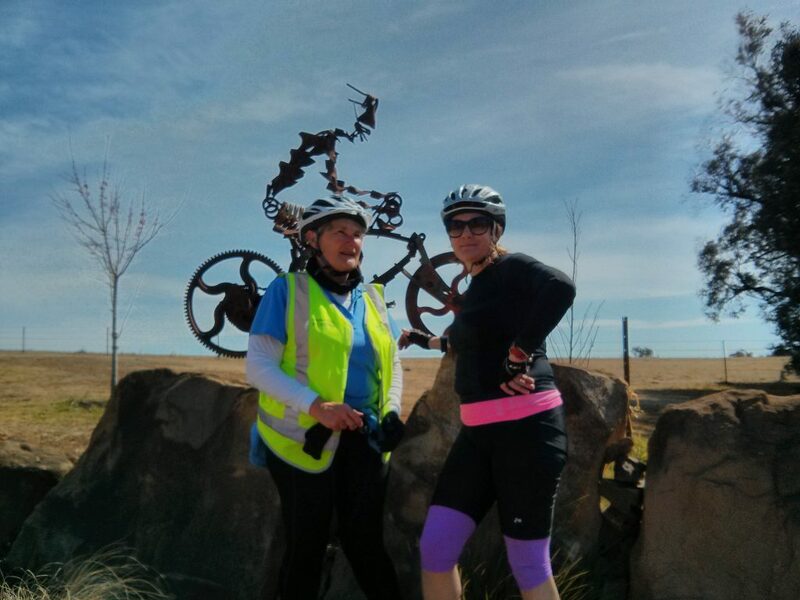 Mudgee is definitely a great town for a weekend away cycling, but to experience all that is on offer in the valley you really need to stay for longer, so a week was perfect. Special Thanks go to Phil Burge for co-ordinating the Mudgee week. I hope this will appear as a regular event on the BN calendar in the future. While in Mudgee I also caught up with an school friend who is trying to raise funds to purchase these trishaws for the local retirement village. I had a great time cycling around town with the Danish boys and observering how delighted the residents were to ride in the rickshaws.